The Unimog is a mulit-purpose medium duty truck built by Mercedes-Benz. Unimog is short for "UNIversal-MOtor-Gerät", Gerät meaning machine in German. They are the ultimate in 4WD survivor mobiles and will be in high demand after the zombie apocalypse. 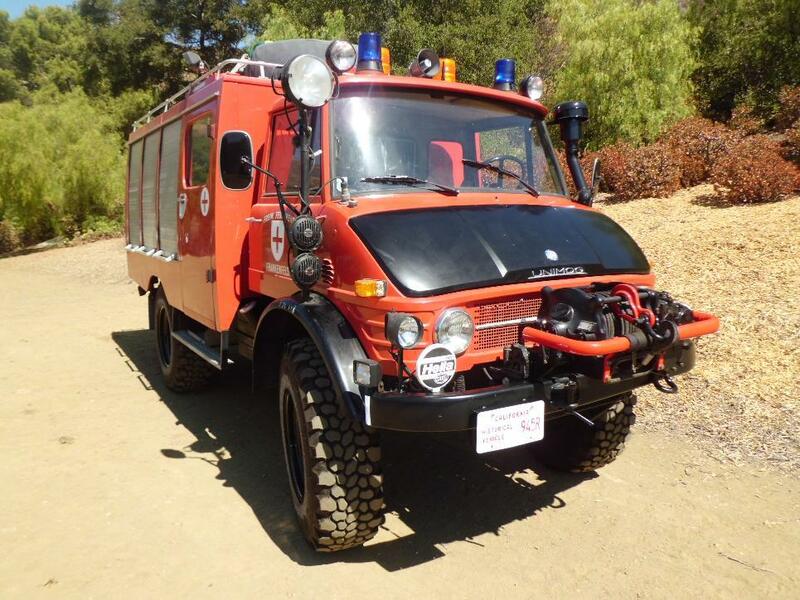 Find this 1972 Mercedes-Benz Unimog 419, a former Austrian fire search and rescue truck for sale in Agoura Hills, CA currently bidding on ebay for $14,600 reserve-not-met with 2 days to go. A Unimog isn't for the casual survivalist, it is the ultimate heavy-duty military-grade zombie-crushing machine and cost more than $100k when new. However, if you want something that will climb mountains, haul big loads and get relatively good fuel economy, look no further than a Unimog. 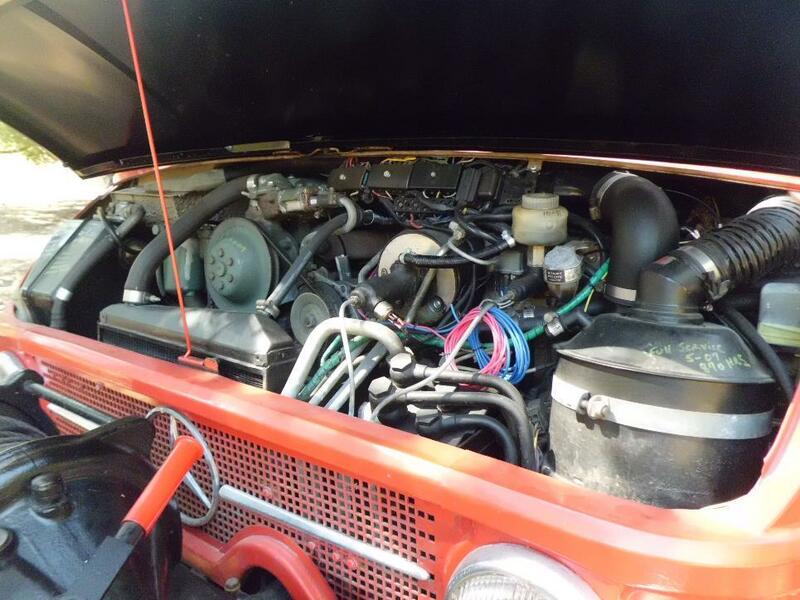 The 419 is powered by the OM352, a 5.7 liter naturally aspirated inline-6 diesel that puts out something the neighborhood of 130 horsepower and 267 ft-lbs of torque. Lugging the Unimog's 13,000 lb curb weight with only 130 horsepower will be an exercise in patience, but once moving it won't be easily slowed by air-resistance, traffic cones, other cars, guard rails, mountains, etc. 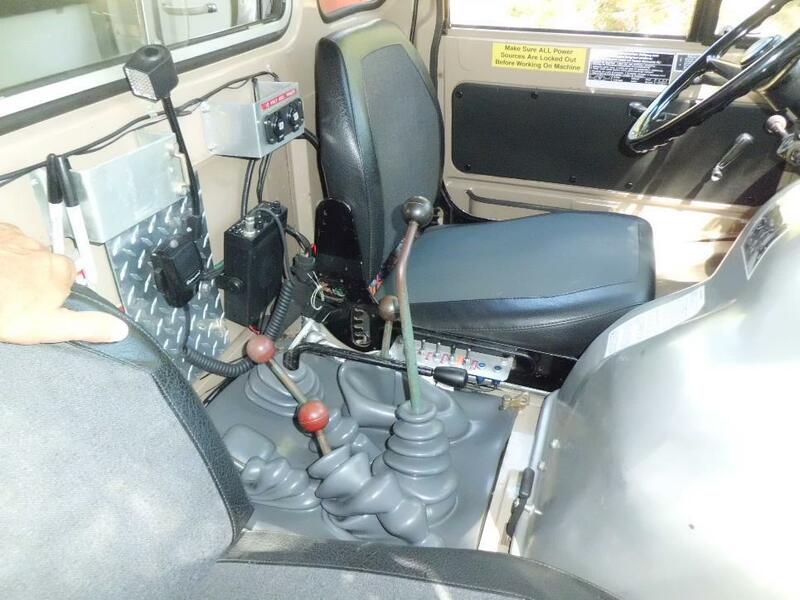 The inside of the Unimog is defined by strict adherence to functionalist principles, and won't wow you with comfort or even seat belts. The center console has so many stalks sticking out of it that it could be confused with a porcupine and while we could easily determine the function of 2-3 of them...the rest would need a look in the owners manual. 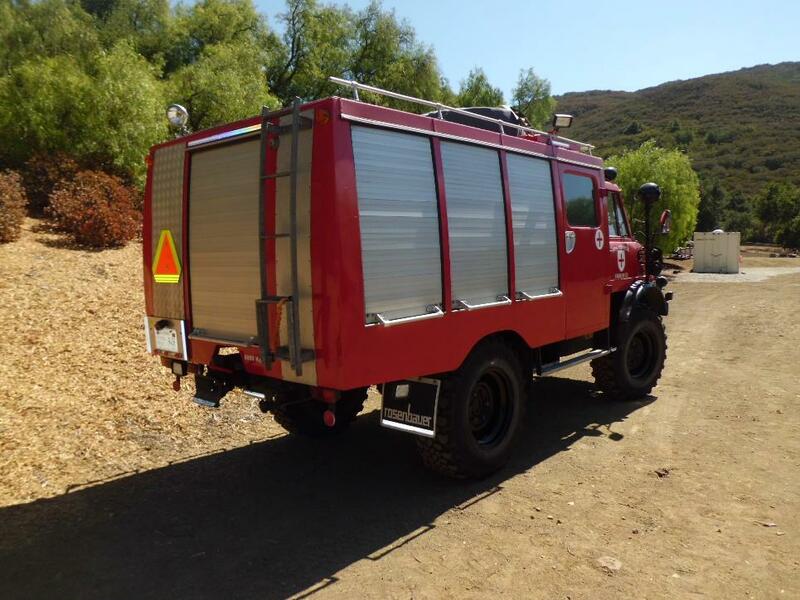 The rear compartment of this Unimog is narrowed by the cool external storage boxes with roll-down doors, so it won't fit a king size bed, but the rear could be used for camping in a pinch. The biggest problem with a car like this is that you need a huge space to keep it - you aren't going to be able to leave it on your local street and it won't fit in a typical garage, but for the gear-head with room, it doesn't get much cooler. I love the irony of the "slow moving vehicle" triangle on the back. As if someone would not already have realized that.